Buzzfeed says the NRA is collecting our info... So? I am going to address what the rest of the gun media has ignored. Maybe they have left the accusation alone because it is unworthy of their comments or maybe they worry that by commenting, they mightt be poking the bear. Either way, I feel that by staying silent, the media who puts out nonsense, isn’t held responsible for their misleading journalism, and gun owners miss an opportunity to educate the folks who would otherwise be swayed by such articles. First, lets look at some of the main allegations. As you can probably already see, many of these allegations are ridiculous. 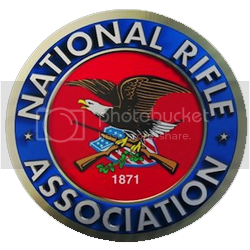 The NRA is a for-profit organization, this means that they have every right to market and advertise to the American public. In this day and age, if anyone with a clipboard asks you for your name and any ounce of contact information, you better believe they intend to use it, or sell it. While the NRA does spend a lot of time lobbying, they have also build a nationally recognized certification process. Just like electrical appliances have “UL” and scuba divers have “PADI”, shooters and firearms instructors have the NRA. Does this mean they offer the best standards and instructors? Absolutely not, but since our government can't know everything about everything, many certification entities spring up, grow to be well known and are then relied upon to create the standards by which we live. Accusing the NRA of having an advantage over its competitors is like the spoiled sport, who flings the board and all its contents at game night. Is it the NRA’s fault? Absolutely not! In fact, the real concerning fact brought up by this Buzzfeed piece, is the government agencies that are willing to sell the information of Americans who are following the laws and obtaining gun permits. As the article points out in its last paragraphs, gun owners aren’t bother by the NRA’s collection of data on us. While the writer is baffled by this, he quotes a former NRA member as saying “they [gun owners] probably won’t care, because the NRA is not part of the government.” And really, that’s the DUH!! moment of their article. The NRA has a not-so- “secret” database, and they keep the data secret! Knowing that it exists just allows us non-members to opt-out Our government rarely gives us such a luxury and definitely doesn't have such a stellar track record with keep data private.